If you’ve been in Genting Highlands of Malaysia, you probably experience their 2.8 km Genting Skyway ride. The view at the top of the rainforest is truly captivating. You will surely perceive Singapore’s to be unchallenging. Designed for perfect viewing of the city, this four to six seater cabin windows is made of clear glass for better site-seeing. TRIVIA: Acrophobia is an irrational fear of heights, especially when it is not incredibly elevated. Compare to those from other countries, these high-end cable cars are not meant for public transport. These serve as one of their tourist attractions. Imagine the view on the top of the charming city of Singapore and some part of Sentosa Island. This will surely take your breath away. Let’s go and find out! The number of tourists visited in Singapore every year is remarkably increasing. That means the crowd of the tourist attractions in this city is relatively wearing. Attraction tickets and packages are available online so you can beat long queues. Check it out as early as possible as tickets are mostly sold out during weekends. 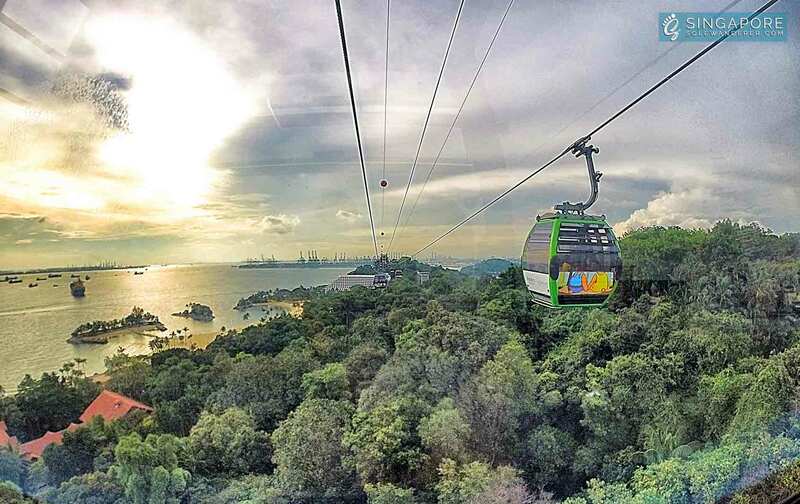 There are a few stops where you can kick-start your Singapore cable car adventure. Both Mount Faber and Sentosa lines have three stops. If you are coming from Harbourfront MRT station or Vivo City, Harbourfront stop of Mount Faber is the convenient option. 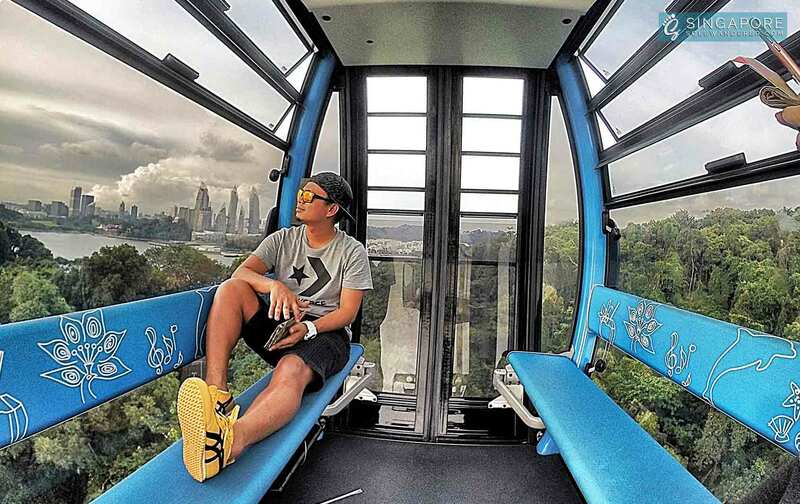 TIP: Switching from Mount Faber Line to Sentosa Line and vice versa, just walk from or to Sentosa stop (Mount Faber Line) and Imbiah Lookout (Sentosa Line). You can also start your adventure here if you are from Sentosa Island. Expect the beautiful skyscraper scenery above the harbor and the hills of Faber Peak in this line before landing in Sentosa Island. The picturesque beauty of the huge cruise ships docked on the bay just below the Faber Peak is truly amazing. 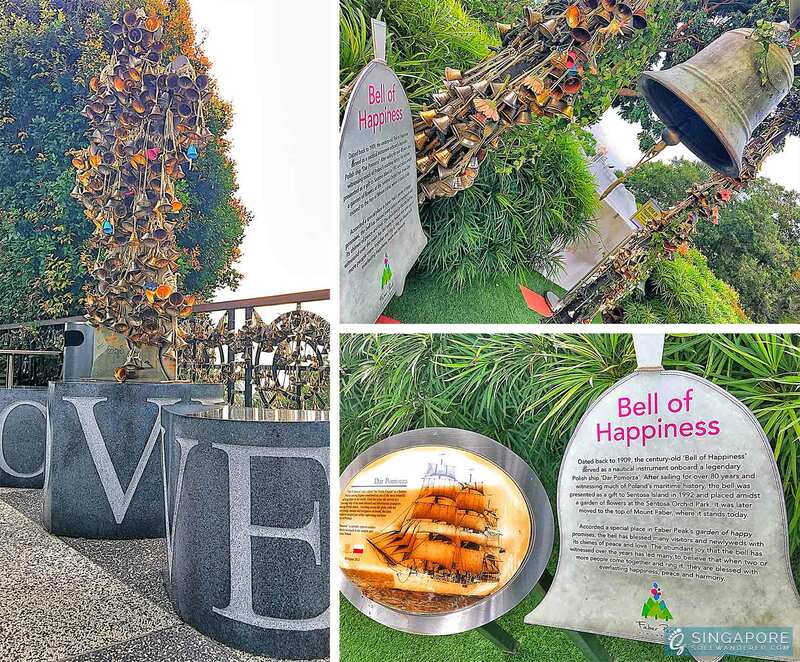 Located in Mount Faber point, these small Bells of Happiness with written happy wishes are tied together. 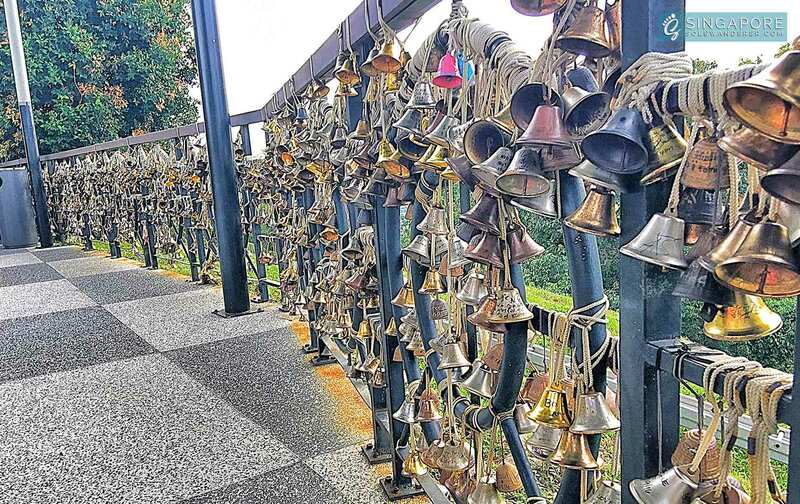 Huge bell symbolizes Bell of Happiness and is located in Mount Faber. 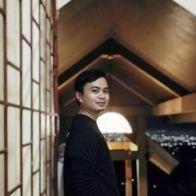 Grab a drink in their cafe and enjoy the scenic view of the city. Don’t forget to watch out for the dolphins down below at Resort’s World Sentosa’s Adventure Cove along the way. The journey will mostly take you over the jungle and sea of the Sentosa Island who let you access to innumerable attractions of Sentosa. Sentosa is also known as “State of Fun“. 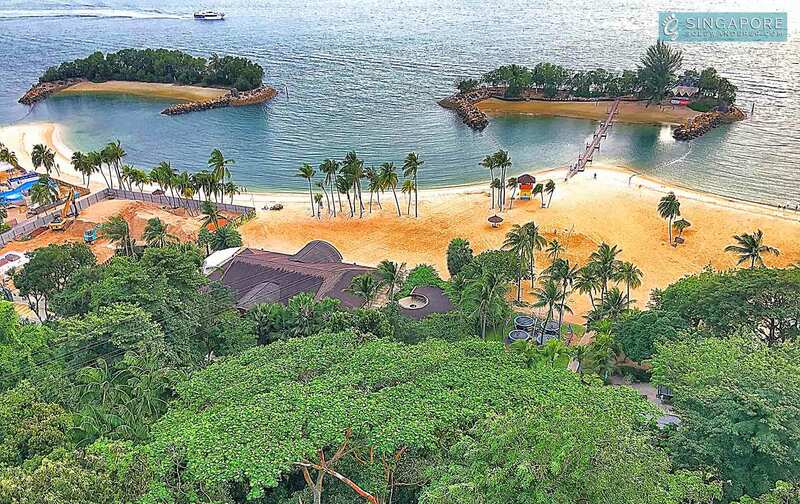 Sentosa line let you enjoy the sandy beaches of Siloso Beach along with the rainforest. 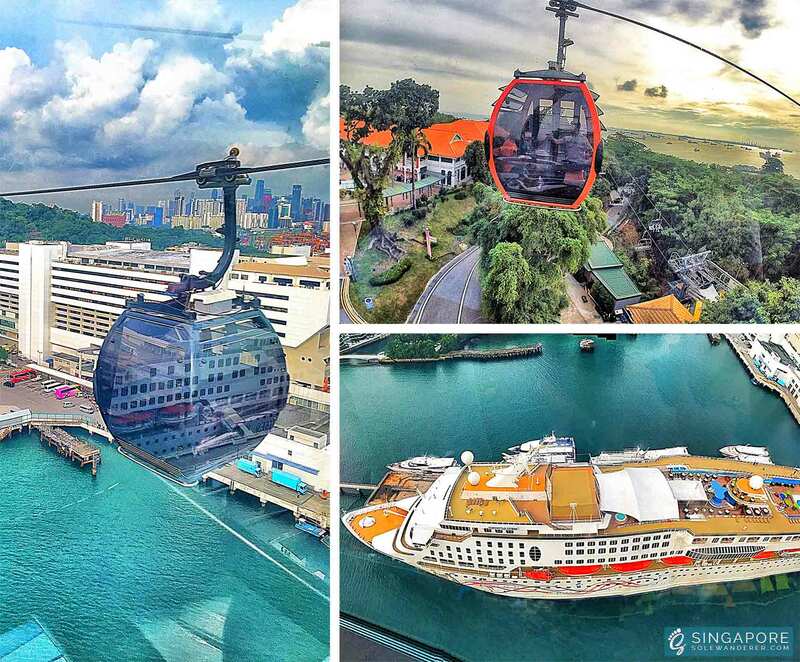 And there you have it, what to expect from these two lines of high-end cable cars in Singapore which also serves a great way to some parts of Singapore that you may not see anywhere else. 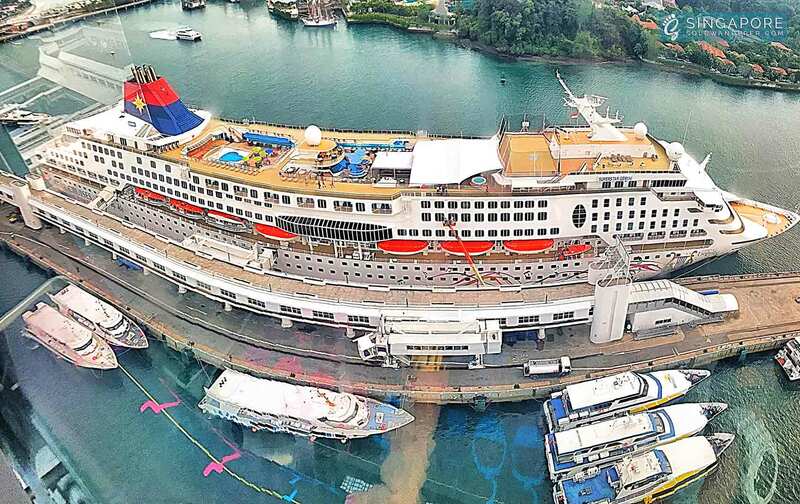 Looking over the jungle, sea and seeing the ships waiting to dock and a 360-degree view of Sentosa Island – surely one for the books!